The Dreamland Chronicles » Looking for a home in Chappaqua, NY? 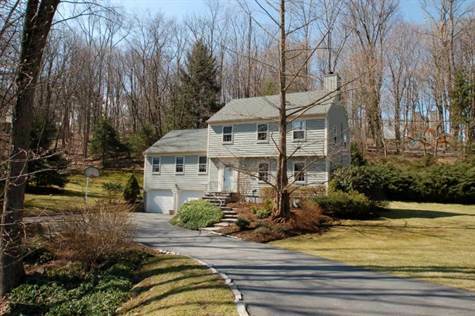 Looking for a home in Chappaqua, NY? My lovely cousins Gary and Judy are moving away from Chappaqua, NY. Chappaqua is about 40 minutes from NY City. It has one of the top 10 schools in the nation. Because they have their house for saleâ€¦.and need to sell it. Please pass this link along. I know itâ€™s a long shotâ€¦but itâ€™s familyâ€¦and we love â€˜em. Plus we love their home and have fond memories of staying there. If you’re a realtor in the area…feel free to “pimp this house” any way you can. If there’s anything I can do to sweeten the deal…I’m in. Free artwork, books, you name it. Scott, I have to say I love your work. I spent all night actually catching up to all this and I am looking forward to more. Also please feel better soon! Take your time coming back until you are fully healed. What a great looking place. I grew up in Chappaqua, graduating from Greeley in 1960 and everything said about the town in the item here is true, in spades. I’m retired now in Washington State, but would love to live back in Chappaqua (if NY state would return to a sane tax system.) That house looks just like the one a friend of mine lived in back the the 50s. Is it in the Seven Bridges area? Good luck in finding a buyer soon. I’d happily email you…but I don’t have your address. Feel free to contact me (link is at the top right of the page) and I’ll get you whatever info you need. Thanks. Greeley is a great school from what I hear. And I’m not sure where Seven Bridges is. But I think it’s off of Hardscrabble road. If that helps. Doh. I found out how to get your email Dave. Ouch! a house smaller than mine for a million bucks? It’s good to have things placed into perspective every once in a while. I’m quite glad you’re feeling (somewhat) better, and I am delighted to see the comic up and running again! Now if you were to say… shave off $900k from the price, then we would have a deal, lol. If they’ve already moved out, maybe you could consider renting it until sells. I know a few people who live in rented houses much like your cousins. For the price, I don’t think you’ll get very bad renters.